In 2010, the construction project of Zhuhai’s general aviation airport was proposed. However, at this point and amid much controversy, the airport’s site has not yet been decided. Why nearly 80 percent airports running in the red did not stop the upsurge of airport construction? On July 17th, following a successful acceptance inspection, the Yulin General Aviation Company was granted a CCAR Part 91 Operation Certificate from the CAAC Northeast Regional Administration.Yulin General Aviation Company is a subsidiary of the Harbin Hongda Construction Development Group. Its aviation park project will include a general aviation airport that can accommodate helicopters, small fixed wing aircraft and business aircraft under 60 seats. 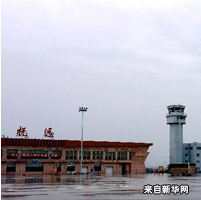 Recently, the National Development and Reform Commission (NDRC) approved the feasibility reports of Ankang’s new airport. By the end of July, in China there were a total of 37 civil airports with a passenger volume of over 1 million in 2014. China is purposely ignoring and maintaining distance in proper general aviation development, resulting in a critical missing piece in the jigsaw puzzle of the image of a harmonious society the Chinese government is trying to build. General aviation covers all aviation activities outside scheduled airlines, including business aviation, medical evacuation, aerial photography, crop dusting and forestry, firefighting and rainmaking, news gathering, public security, pilot training, sport and private aviation, among others.